Located on the Mediterranean Sea, the French Riviera has been a resort destination since the end of the 18th century when British, Russian, and other aristocrats made it their vacation getaway of choice. Its no surprise that aerial filmmaker ZilverSchmitz chose the destination as a backdrop for this cinematic edit featuring one of the most glamorous cars around, the Bugatti Chiron. Interesed in purchasing one? The standard edition will cost you northwards of $3 million USD. 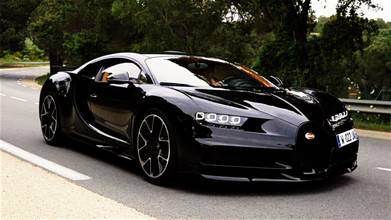 Description: Filming a Bugatti Chiron in St. Tropez! Shot with the Phantom 4!